Hugh Jackman is a good lad and he strikes us as someone that we'd like to have a few pints with. This latest story featuring the likable Aussie only enhances his reputation as being cooler than the other side of the pillow. Hugh was at a children's hospital in Sydney doing some charity work (he can't stop being a legend) and Channel 10 News were also there to cover the story. 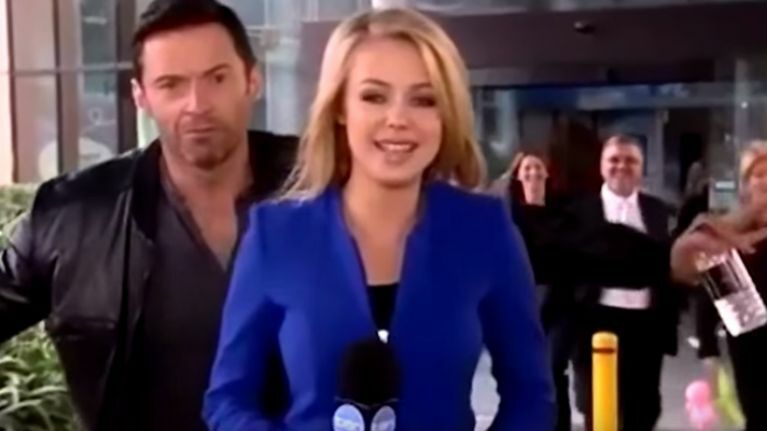 Newsreader Jessica Turner was broadcasting from the front steps of the hospital and unbeknownst to her, Hugh came through the doors and promptly photbombed her.